Theme? 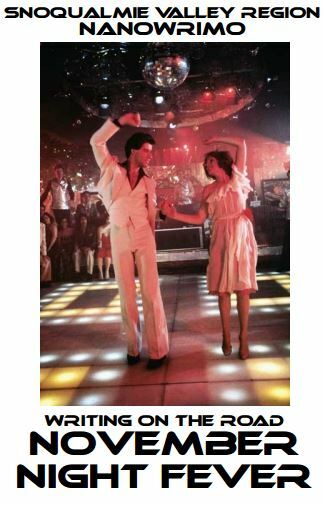 We’re going theme-less today, unless you happen to have some free time to join us at the Fall City Roadhouse Inn for a night of disco-themed writing! The fun begins at 5 and hope to be stayin’ alive all night! This entry was posted in Project Updates and tagged fall city roadhouse inn, fun, gathering, nanowrimo, party, play, snoqualmie valley region, words, writers, writing, writing on the road.